Looking for private in-home or in-studio Viola lessons? Our Clarkdale teachers are ready to get you started. Find your teacher today! Check out some of our most popular teachers near Clarkdale, GA including Atlanta, Marietta, Decatur, Alpharetta and Duluth. You will learn posture and note reading for the alto clef. You will be guided by me through method books and I will create supplemental materials to help you advance. You will play duets with me and develop playing skills. You will learn higher positions and learn to play in an orchestra to follow a conductor. You will learn how to articulate to make the viola stand out in an ensemble. I have been teaching viola for 5 years. My students win seats in school orchestras. I want to be your next instructor. ls. I believe talent is not a factor in learning. Mastering an instrument is the result of effective instruction and step by step guidance toward foundations and skills. I love to teach private lessons because I believe in spreading the word to make the great gift of playing music available to many. It is an inherited right and gift to enjoy a lifetime of personal satisfaction from playing a musical instrument. I love to help students build confidence and make progress. I help them problem solve by going through problems with them. I teach "how to think" and how to become a life long learner of the instrument. I love the challenge of finding ways to help students become successful at every step of the way. I am excited and enthused to be apart of student progress. I am influenced by many 20th Century performers including Van Cliburn, Oscar Peterson, George Shearing, Erroll Garner, Yudi Menuhin, Issac Stern, Dave Brubeck, and Horowitz among others. I am passionate in my teaching about providing an effective solution to my student's needs. I am pleased to announce my teaching has awarded a cello student a spot at Del Sol music high school for the 2017-2018 school year. this student of mine passed an audition January of 2017 as a result of my teaching. The student worked very hard and followed my instruction very well. Congratulations!! I am also pleased to announce two of my cello students have both passed auditions to play in the Las Vegas Youth Orchestra starting in September 2017 and September 2018. They both auditioned during May 2017 and May 2018. Congratulations to both of you!!! I also had a violin student who passed auditions for LVA (Las Vegas Academy) a couple of years ago. I have no connection to these organizations. These students all worked hard and followed my instruction. I can help you learn as well. 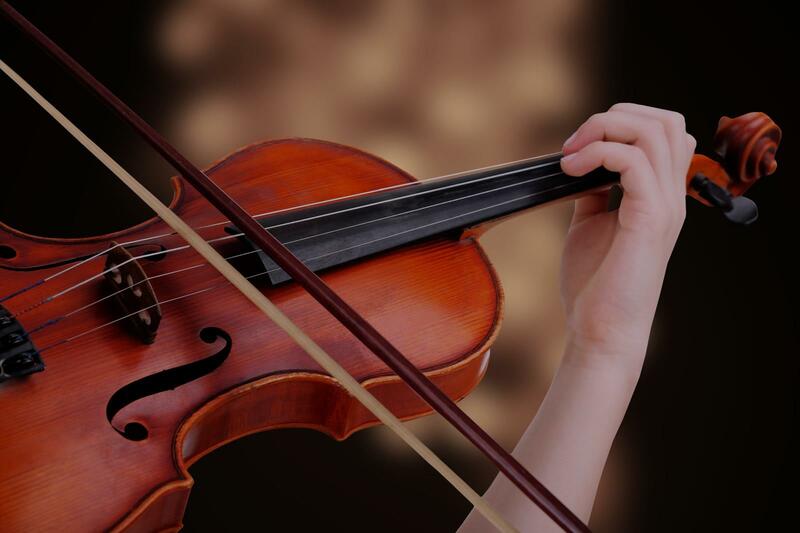 Recently with the development of "octave" strings, if you have been split between learning violin, viola, or cello; these strings installed on a violin or viola make the instrument sound like a cello. It is really something. They are tuned an octave below, so they sound very low. A lot of cello music will have to be transcribed for owners of these instruments installed with "octave" strings. Videos can be found on YOU TUBE of these instruments played. They are ordinary violins or violas strung up with thicker strings to sound an octave below. I am a professional educator who works with both children and adults, and has the patience to help them. I am a performer who has over 30 years of public experience in solo playing as well as ensemble work. I have performed at Nordstrom for nine years, and performed at many private functions. I have performed classical as well as jazz music as part as my performance experience. I have taught private lessons for well over 17 years. I'm sorry, as of Summer 2016 I do not travel to student locations. I teach at my studio as well as online. If you are among the many parents who home-school your children, you should consider music lessons for them. There are many benefits of home-schooling, but unfortunately students miss out on specials. Practicing an instrument can make up for that and also teach critical learning habits and personal skills toward learning in general. I believe in personalizing your approach to the strangeness of the instrument. You need to learn much about posture, and proper tone production within the first year. Method books are not "how to" books. You need a teacher to guide you toward becoming familiar with the instrument. You also need to learn how to listen to the sounds you make as you play. To develop "musical independence" you need to become musically literate, develop tone production skills, and internalize a steady beat. Rhythm and tone are basic concepts that must be mastered to maximize pleasure in playing your instrument. Learning how to problem solve is another skill I teach so you can help yourself toward progress. I believe in using the instrument in daily activities such as playing "Happy Birthday" at family get together. Christmas Songs or Hanukkah Songs can bring much joy during December family parties. A musician in the house brings much joy during holidays and celebrations; and the families are brought closer together. Memories are created and last forever. Playing an instrument is exciting and expresses what can not be said using words. I believe in teaching students based on their strengths, and building upon them. I am excited to help you learn!! I only teach in my own studio and online. I do not travel anymore. You can advance quickly if you are taught to listen to yourself and follow my instruction. I will guide you every step of the way to understand how music making works. Music lessons are fun and enjoyable. I am pleased to guide you through your learning every step of the way. My students in Las Vegas have had much success with my teaching and guidance. I will succeed where others fail. You will reap the benefits of my professional instruction. I bring a wealth of teaching experience, teacher training, and professional playing experience to every lesson. Most music store studio instructors have very little or no teacher training. Playing experience does not make one a helpful teacher. Failure to learn "how to" teach along with not earning any teaching credentials will not make a satisfying music instructor. Grand Piano 5'1', Digital Piano 88 Keys, Violin, Viola, Bass Guitars ( 5 String Fretless), electric guitar (Fender), Upright Bass 3/4 Size French/German Bows. Suzuki for string instruments. Thompson, Schaum for piano. Blues, Jazz and " Real Book " for jazz piano as well as Frank Mantooth books for chords. I also create materials to suit individual student needs. Classical Piano Volumes. Really good first lesson for a complete beginner! I have taken several lessons with Mark and I think he is an outstanding cello and music teacher. Mark has a substantial knowledge of cello, music and other instruments and his method of teaching is so great that it has make me feel that even with the crazy busy life that I have I can tackle the cello and I will have a good measure of success at my own pace in the future. He is incredibly patient, encouraging and good natured while totally engaged in getting you further in learning music and the cello in this case. He has sent information every week of relevant material to be covered in the next class which is very helpful and he adapts very well to your own style, whether you want to start playing right away or you prefer more emphasis in music notation, etc. He makes himself easily available to answer any questions or to discuss changes in schedule and to top It off he is a really nice person. I would recommend Mark heartily and enthusiastically to anyone who wants to learn cello of any musical instrument he teaches. Mark is thorough as an instructor and relatable as a person. He takes time to explain theory and is very patient and reassurant about my progress in my lessons. I feel fortunate to have found Mark on my initial search for a music instructor. Viola is my primary instrument! I started playing continuously in 6th grade and it was the instrument on which I concentrated in college. I love the rich sound of the viola and the inner harmonies we get to play in ensembles. I will bring my instrument and a music stand for myself, and I assume the student will have their own as well. There are specific collections of songs and exercises that the student should be ready to purchase based on their level of playing and will be determined after our initial lesson. Students will want to continue to invest in other collections as they progress and I will occasionally provide additional materials as appropriate. ic in addition to the mechanics of playing a string instrument. My ultimate goal is to help each student become their own teacher! I am more than happy to explore ways in which students with special needs can engage music through listening, reading, writing, singing and even playing an instrument...let's talk!! Joshua is kind, fun and an incredible teacher. My daughter greatly enjoys her lessons and is learning quickly. I use a hybrid approach in viola lessons using Suzuki and method books. Note and rhythm reading are taught as well as good technique and tone. Students have opportunities to perform on recitals and play familiar music. Music is my passion, my hobby, my career and my gift. I have been performing since age 7 and teaching for the last 25 years. I have a bachelor's and master's degree in music and love to share my knowledge and experience with all ages and aptitudes - even special needs. My approach to teaching is fun but serious, laid-back but encouraging, demanding but forgiving. I teach students how to be disciplined with their practice and how to make the most of their limited time. erhaps you are someone interested in pursuing an ability to play a certain style - pop, jazz, hymns, oldies, classics, or certain artists. I customize our lessons to match your objectives. My students have an opportunity to perform publicly several times a year which encourages practice and also builds confidence. After a few lessons, I can provide an idea of where a student will be in 3-6 months. You can always expect to find me prepared with fun ideas for our lesson. I have a grand piano as well as several keyboards to add variety and fun to our lessons. I would bring my own violin to demonstrate but would expect students to have their own instrument. For piano, I use Faber & Faber, Alfred, Bastien and Music for Little Mozarts. I include sight reading books, rhythm workbooks, improv studies, and later scales and arpeggios. For violin I have created my own hybrid using traditional methods and Suzuki. My first Violin lesson was wonderful! I felt immediately comfortable with Shannon so i was very relaxed for the lesson. I learned alot my first lesson and it makes me excited to go home and practice what i learned! Cant wait til my next lesson! So happy with Shannon. She is perfect for me and many others I'm certain. Fun, smart and patient. I couldn't be happier. I'm so happy with my choice of Shannon. She is patient, fun and encouraging. Perfect for me, a 'mature' student trying to learn something new! Highly recommend Shannon. Many teachers who teach viola are primarily violinists, and are not as aware of the extra attention to detail and slightly different techniques that this instrument requires. Since I am primarily a violist, I can teach tone production, posture, and other techniques from the perspective of a player who has spent time learning the idiosyncrasies that make the difference between an excellent violist and a competent one. My teaching style is inspired by my initial training in the Suzuki method, and my studies with violist and pedagogue Karen Ritscher at Oberlin Conservatory. Please note, I have not yet received training as a Suzuki teacher and use the Suzuki method books and the teaching I received as a Suzuki student as a jumping off point for working on each student's individual needs. I studied viola at Oberlin Conservatory of Music and moved to Portland three years ago to pursue performance and teaching opportunities. Since then I have performed with Classical Revolution PDX, Cascadia Composers and ARCO PDX and am a member of Macaulay Balkan. My initial studies were on violin using the Suzuki method, which has greatly influenced my teaching approach. However, I am dedicated to customizing the lesson time and structure to the needs and priorities of my students. Very few "viola teachers" play viola as their primary instrument. As a full-time violist, I can help you learn how to play this idiosyncratic instrument from my own experience. Super cool person, easy to talk to, great instructor. At the first lesson, Grace took the time to understand my musical goals then made a solid assessment of my current level of playing. She was able to identify small changes in my technique/form and crafted modifications in my warmup to support the change in technique. I feel Grace is a great teacher for my eight year old daughter. This is my daughters first time playing an instrument. Grace is so patient and respectful to my daughter. Grace is teaching us a little at a time which I believe is a good pace for us. I have had to learn as well so I can assist my daughter in her practice at home. This part I didn't expect but Grace offers guidance. I feel through Graces lessons she not only is learning how to play the violin but learning self discipline and respect. I've been teaching Viola for 3 years, and my students have gone on to join school orchestras. Within the first few lessons, you'll be able to play "Twinkle Twinkle" and as time goes on you'll be able to play a Bach Minuet. I specialize in Classical music, typically use the Suzuki Method and the companion I Can Read Music books, and have the following tools available for your lessons: music stand and finger tapes. I love working with students of all ages, and I can't wait to meet you! Christine has been teaching private lessons since 2013 and is currently available to teach lessons at her home studio or your home. Christine has helped students achieve confidence in their playing, perform songs with effortless execution, master technical skills, and prepare for recitals. Christine received her training at Pensacola Christian College in 2013 where she received a degree in Music Ministries. As an expert in her field, Christine looks forward to helping new students achieve their goals. Christine's teaching style is engaging, enthusiastic, and encouraging. Christine was great1. It was my first lesson and we jumped right in. She is patient and encouraging and easy to understand. Christine was professional and accommodating to my son needs. He is already looking forward to his next lesson. Christine is great with my children. She helped my high-school student with his orchestra audition (with her coaching, he made it into the highest orchestra at his school). She also helped launch my middle school aged daughter as she started up with viola. Christine is terrific with communication, flexible when possible with scheduling, and is as friendly as a long lost auntie. Her teaching style is gentle and encouraging. I'm an experienced and dedicated musician, having played with Orchestras and Chamber groups throughout my state. My lessons are focused on relaxation, and am as laid back or strict as the student needs. Whether you're a beginner or advanced, shooting to be a church player or a pro, I have taught students for that and am the teacher for you. Nicholas is a professional cellist that has studied since the age of 9. He has now been teaching the cello, viola, and violin for the past seven years for students of all ages, beginner to pre-college level. Throughout Nicholas’s career, he has been an active member of Honors Orchestras, Youth Symphonies, Chamber ensembles, Opera Symphonies, and his university’s symphony. His music consists of mostly a classical nature with some contemporary and popular music ensembles. Nicholas trained for three years in college under the renowned cellist Martha Gerschefski, whose accomplishments are too many to list. He also trained under Christopher Rex, the principal cellist of the Atlanta Symphony Orchestra. Nicholas now holds a Bachelor’s degree in Music Performance at Georgia State University. Drawing from a wide array of performance and teaching experiences, I tailor unique lessons to Viola and Violin students of all kinds who are ready to take their playing to the next level. I hold all of my students to a high level of achievement, while integrating their personal goals into my lessons. Some of my students have described lessons with me as "whacky and fun." Students learn basic skills, advanced techniques, music theory, music history, among other subjects to help inform effective and enjoyable performances. What do you want to achieve? Let me know and let's work together to get there! As a classically trained violist with orchestral, chamber, and solo performance experience, my teaching style is geared towards performance and expression. I don't adhere to any one book of teaching, adjusting my teaching to the unique needs of each student. My teachers came from different pedagogical backgrounds; as a result, I have a wide array of teaching tools available to pass on to my students. I have taught with El Sistema Colorado, the Longy School of Music's El Sistema program, and had a Teaching Artist residence with Cambridge Public Schools. Currently pursuing my DMA in Viola Performance from the University of South Carolina, I hold a BM in Viola performance from the Lamont School of Music and a MM in Viola Performance from the Longy School of Music. esult, I have seen teachers hold viola students back, simply because they play the "lesser" instrument in the viola family. I do not hold my students back and I hold them all to the same high level of playing, regardless of which instrument they play. Calvin was awesome. He let me sit in as my fiance took a lesson. It was a relaxed atmosphere and he was a great teacher. Calvin is a great teacher. My first lesson was really good. Experienced Music teacher of 8 years available for eager students of all experience levels and ages! I structure my lessons so students learn what they want to learn, while also building a strong foundation of their instrument and theory skills. I specialize in all styles. Typically, I use a variety of method books to pick from to meet the needs of the students. I also have many tools available to use during lessons. My students have gone on to NYSSMA and on to college auditions successfully! I have been teaching private lessons since 2008, but have been studying music since I was only 4 with non stop private and in school lessons. I now have my Bachelor's degree in Music education and am working toward my Masters in Music performance and Instruction. I love working with my students. Watching them succeed at what they do is what makes my day great. I always love to have a fun atmosphere around me and enjoy every minute it. Music is great for self expression a great Escape or an easy pass-time. It's nothing that should be stressful, but the opposite and that is what my lessons aim to do. Provide an educational, but fun and expressive learning experience to carry with you or your child throughout your lives. Excellent teacher, I already have a deeper understanding of singing after the first lesson. Thank you! In addition to my Violin training, I have taken viola lessons and have taught viola since moving to Ohio. Violinist Andrew Paa enjoys a varied career as an educator, performer, and arts advocate. A dedicated teacher, Andrew has worked with students privately and in music schools in South Dakota, Iowa and Ohio. Currently, he maintains a private studio. Previously he has taught at the Hudson and Fairlawn Schools of Music, Firestone High School, and the Western Reserve Institute of Music. His students have achieved a high degree of success, earning college scholarships and assuming leadership roles in their ensembles. es including the Luther College Symphony Orchestra, the University of South Dakota Symphony, the Kent State University Orchestra and the University of Akron Symphony Orchestra. Dedicated to performing chamber music, he currently plays with and is the manager of the Cuyahoga String Quartet. Additionally, he has founded several ensembles including the Enigma String Quartet, the Rosen String Quartet, and several piano trios. Andrew earned a MM in Chamber Music and Violin Performance from Kent State University where he studied with Cathy Meng Robinson (Miami String Quartet) and Jung-Min Amy Lee (Associate Concertmaster with The Cleveland Orchestra). He studied chamber music with members of the Miami String Quartet and the Verve Chamber Players. Prior to Kent, he earned a MM in Violin Performance from the University of South Dakota studying violin with Dr. Eunho Kim and chamber music with members of the Rawlins Piano Trio. He earned his BA in Music from Luther College where he studied with Drs. Virginia Strauss and Jubal Fulks. Additional studies were undertaken with Frederick Halgedahl, Dan Auberbach and Maria Peters. Andrew is an extremely knowledgeable and talented teacher. He explains technique exceptionally well, has an impressive understanding of phrasing and musicality while playing, and is very patient and understanding, he has a great sense of humor, while also giving students the right amount of push they need. He has high expectations but they are always attainable for his students, and he is very flexible with each students unique needs. I highly recommend him as an instructor, he is worth every penny and students always see quick and impressive improvement; I know I did while I studied with him. Can't find a teacher in Clarkdale, GA?